Prime Minister David Cameron is to step down by October after the UK voted to leave the European Union. 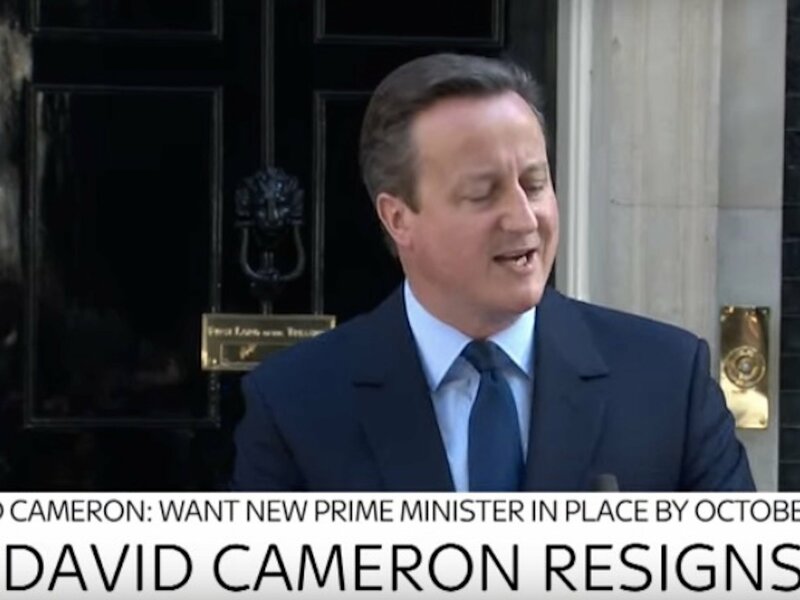 Mr Cameron made the announcement in a statement outside Downing Street after the final result was announced. He said he would attempt to "steady the ship" over the coming weeks and months but that "fresh leadership" was needed. Lord Hill, the UK’s European commissioner, was sent to Brussels by David Cameron and took the highly prized portfolio of financial services. But his departure from a big EU finance job became a foregone conclusion after Brexit, because many European politicians opposed having a Briton in charge of financial services, when the UK is on its way out. Several MEPs had already called on Hill to be stripped of his crucial economic portfolio. Article 50 of the Lisbon treaty sets out how an EU country might voluntarily leave the union. The wording is vague, almost as if the drafters thought it unlikely it would ever come into play. Now, it is the subject of a dispute between EU leaders desperate for certainty in the wake of the Brexit vote, and Brexiters in the UK playing for time.